U. S. Marine Corps Recruit Hurst died 35 years ago this date. "Shortly after reveille on the morning of 01 October 1983, Recruit Hurst collapsed in the vicinity of his rack in the squadbay. Despite immediate response from his fellow recruits, and heroic life-saving measures by his DIs and EMTs, Recruit Hurst died en route to the Naval Hospital. His death, coming at the end of First Phase, was a sobering experience for his platoon - 2095, DIs, and me - the Series Commander, all assigned to 2092 Series, Company F, Second Recruit Training Battalion, Recruit Training Regiment, Marine Corps Recruit Depot, Parris Island, South Carolina. We grieved, paid our respects in a fitting memorial service, accepted the reality of God's mysterious ways, and continued to move forward with training. Not a single day has passed since Recruit Hurst died that I have not thought about him, and his family. I still have the 2092 First Phase guidon." Platoon 2095 was the 4th platoon of the 2092 Series. Recruit Hurst was a pickup, a training recycle, from First Recruit Training Battalion. My memory is he was recycled simply because he needed a little more time than the average recruit - he did not have an attitude problem. The Friday morning before on the battalion PT (physical training) field I'd run into Josh, a fellow series commander in brother Company D, and we'd decided to meet at the Officers' Club for a beer after the training day. That particular training day, ending First Phase, was busy as the 2092 Series was preparing to move - by means of a foot march, conditioning hike - from the battalion area to the rifle range for two weeks of marksmanship training culminating in rifle qualification. But before stepping off early on Saturday morning there was gear to pack; barracks to clean; new barracks to inspect; and a busy training day to conquer. As agreed, Josh and I met for that beer; only one. We were busy and Saturday was just another training day with an early reveille. Driving the posted 25 MPH along Boulevard De France, the Depot's main road, and passing First Recruit Training Battalion to starboard I could see the 35 MPH sign a hundred yards or so ahead and began to accelerate. About half way to the sign I passed an MP parked to port and perpendicular to the road. As I passed and glanced in the mirror he was pulling out with code lights flashing. Great. I pulled over. The young Marine approached; asked for ID, driver's license, registration; and politely asked if I knew why he pulled me over. I was correct - accelerating before reaching the 35 MPH sign. He issued a warning. The MP was correct. I thought it petty and was annoyed but glad it was only one beer and more than an hour prior. As I'd be departing quarters shortly after 0330 the next morning for the Depot, it was an early evening. Despite the MP encounter, sleep came easy. Walking out the door my telephone rang. First thought it was friends calling after a night on the town (that happened with some frequency - at least amongst the bachelors). I hesitated but decided to answer. It was not friends. "On my way," I replied. I hustled to the Depot - obeying the speed limits. It was busy at the barracks. Not long on deck the phone call came notifying Recruit Hurst died. Shortly thereafter my battalion commander walked to our company area to see me. He asked how I was doing. I was fine - thinking about Recruit Hurst and completing a required report (Serious Incident Report that I still have a copy of - somewhere) but also about moving the Series to the rifle range (a life ended but training did not stop). That CO reassured me deaths happen in recruit training - like lightning bolts. And he told me to focus on training saying he and the company commander would properly tend to Recruit Hurst. They, and others, did. A Senior Drill Instructor from another platoon in the Series escorted the remains of Recruit Hurst home - they hailed from the same state. A couple of weeks later I was ordered to report to the Depot Inspector's office - the colonel, the investigating officer, wanted to see me. I knew who he was but colonels (other than the regimental commander) and first lieutenants did not cross paths often. He was a trim and fit rather serious gent who sported a flat top and always looked a bit perturbed. Half-eye readers rested near the tip of his nose. He kept me standing. Open before him was the recruit training SOP (Standard Operating Procedure). First, he commented on the unfortunate death and reiterated what my battalion CO had said (they'd seen recruit deaths before). Then for 20 minutes (seemed more an hour) he worked his way through and asked questions about the SOP; random they were with most related to the First Phase of training. Satisfied, he looked up and over his readers and said, "Lieutenant, now I'm able to confidently include a statement in my investigation that the Series Commander was knowledgeable and competent in the performance of his duties. You are dismissed." I came to attention, said, "Good afternoon, Sir," executed 'about face' and returned to work. 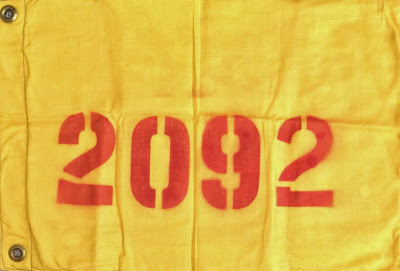 On graduation day, the Series Chief Drill Instructor, to this day a friend, arranged for me to keep the 2092 First Phase (and Second) guidon (Third Phase is red with yellow numerals). Pictured above, it's a treasure. 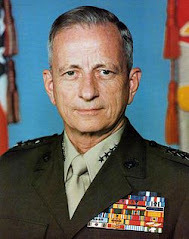 A few years ago I had lunch with the Marine general who commanded the Depot in those days. I was stunned by his recollection of Recruit Hurst's death, and his involvement, unbeknownst to me, with the family (having made at least a couple of phone calls). He told me he'd seen a death investigation aboard our other recruit depot not handled so well and he was determined that would not happen again. It did not. Responsibility for the lives of others is sobering. Whether combat or training, Marines and recruits are injured and sometimes die. My DIs were doing everything right, to the letter and more importantly the spirit of the SOP and in line with their sworn pledge, to make Recruit Hurst a Marine. A congenital heart defect not detected during his entry physical was determined as the cause of death. Higher Authority had other plans for Recruit Hurst. At age 26 I couldn't have imagined Recruit Hurst would cross my mind at least once a day. I've long accepted that's not going to change, and am grateful. Thirty-five years. Goodness. The time. The memory as if yesterday. Tonight a cold beer - with thoughts of Recruit Hurst; the men - recruits, DIs, Assistant Series Commander - of 2092 Series; Josh; the officers in my chain of command; and that MP. Back in July, yet again, the men of those days rallied - some with ties to Recruit Hurst - at Parris Island. Another commitment made attendance impossible - 2020 is on the calendar. My regimental commander from those days, the late Colonel Donald J. Myers, USMC, published a book - Pride and Discipline The Hallmarks of a United States Marine - in 2014. 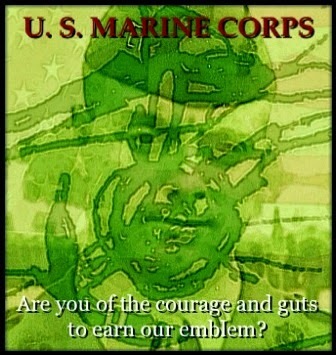 An honor it was when he asked me and another retired Marine from our time in the regiment to write an Introduction. He did not change a word. The current (as of today - 01 October 2018) regimental commander is using that book to help educate and train his DIs and officers. After this commentary, now with minor edit, was first published a handful of years ago a reader helped locate the Hurst family. 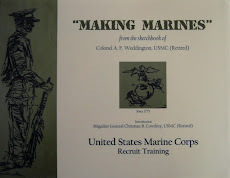 The numbered/signed copy of 'Making Marines' duly earmarked now in their hands (the effort to find the family Hurst took more than six years). 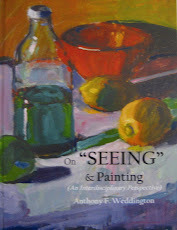 "Your work is as good and as interesting an account of Marine Corps recruit training as I have encountered. You get to the essence in understandable terms and in the background the reader still senses the religion - like spirit prompting all that is being described. My overall emotion, through no fault of yours, is one of sadness. Yours may be the last significant work that describes the Marine Corps recruit training that produced such victories as Belleau Wood, Iwo Jima, Chosin Reservoir, Khe Sanh, Fallujah and others." Kind but surely not gratuitous words from the general. Thank you, Sir!